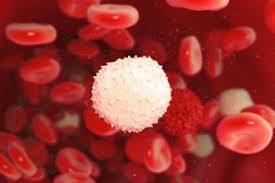 A new study published by Oxford University has revealed that aggressive cancer cells manufacture PAT4. PAT4 uses the available cell nutrients from cells, including healthy tissue. ‘We found that aggressive cancer cells manufacture more PAT4, which enables them to make better use of available nutrients than the cells around them – including healthy tissue, said Dr Goberdhan Department of Physiology, Anatomy and Genetics. The study focused on developing an antibody used to highlight PAT4 in human tissue samples. This was then used to study anonymous tumour samples taken from patients with colorectal cancer, a common form of the disease. Patients who had an increased level of PAT4 in their tumors; did less well than those with lower levels and had a higher relapse rate with increased mortality rate. ‘These findings support each other. Not only do higher levels of PAT4 mean a worse outcome, but lowering levels improves the situation. This means that we have identified a mechanism, which cancer cells prefer to use and which we might be able to target as part of a combination treatment,” Dr Goberdhan said. ← Sugar structure in the antibody plays a key role in auto-immune disease.